Instead of using massive, polluting factories, 3D printing is said to have the potential to radically transform manufacturing away from industrial processes. Now, a U.S. Additive Manufacturing Innovation Institute aims to help drive that transformation forward, by taking 3D printing into uncharted waters. In a departure from industrial-style factory processes, 3D printing enables the flexibility to adjust digital designs at will during the process, and quickly “print” the new designs on demand as physical objects. Potentially, this could include such things as whole homes, planes, electronics, spare parts, and just about anything you care to imagine. In fact, some parts for planes and other machines are already being successfully 3D printed. As we reported recently, work on the 3D printing of houses with huge 3D printers is already well underway. This innovation alone has the potential to be hugely disruptive in the construction industry worldwide. Designs for manufacture can be developed on computers, and can then be reworked “on the fly”, without the expensive and slow retooling of factories that industrial manufacturing processes demand. All that is required is the compter, the 3D printer, the materials used in the printing process, and the electricity needed to run the printer – which is significantly less than traditional manufacturing processes. The institute is a $70 million public-private partnership headed by the U.S. military. It’s certainly not surprising that the military is involved, as this new process could create all manner of objects of interest to them, on and off the battlefield. On a side note, a somewhat concerning development is the 3D printing of guns, which is apparently already happening outside the military. However, it has to be said that quite a few beneficial things previously developed for military purposes have worked their way into civilian society as well. The military also has a goal of decreasing its energy intensity by 50% within a decade. 3D printing processes could go a long way to helping with that goal. Although not a great deal seems to have been said in the public arena just yet, the Obama Administration has been keen to help push the process forward, with the aim of revitalizing and reinventing the U.S. manufacturing sector for the 21st Century. The administration knows that China has been funding its R&D to the tune of $3 billion in 2011 alone. In the interests of regenerating the beleaguered manufacturing sector and overall economy, the U.S. would not want to be left behind. It should also be noted that molecular nanotechnology holds the potential to yet again transform manufacturing but in an even bigger way. It’s likely that future nanomachines will be able to build any object atom by atom, including food, but that technology is said to be a few decades away yet. 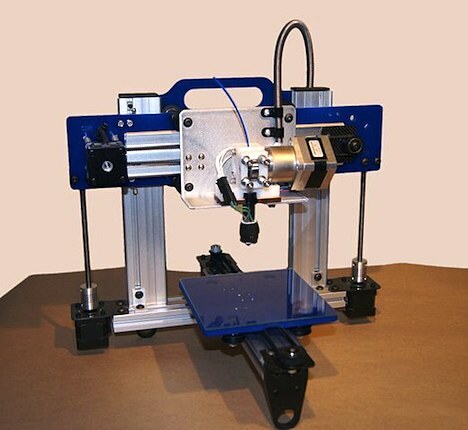 Do you think 3D printing will eventually transform manufacturing the world over? If so, how long do you think it will take?